A hero of the Battle of Gettysburg and a veteran of many other American Civil War battles, Washington Roebling assumed the duties of Chief Engineer of the Brooklyn Bridge only a few short years after the war ended. 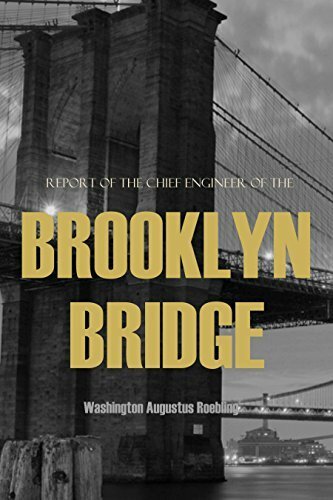 This report was written by Roebling and his staff six years before the completion of the famous bridge. It contains fascinating details about the construction methods, material selection, and materials testing that are easily understood by any lay person.